Nitehawk Cinema, New York’s original curator of dinner and a movie, launches private event rentals at its new Prospect Park theater which showcases breathtaking views of Brookyln’s flagship park. “We are now offering customizable, private events at Nitehawk Prospect Park. We have had huge success with these at Nitehawk Williamsburg, from world premieres, corporate outings, birthday parties to weddings and proposals. 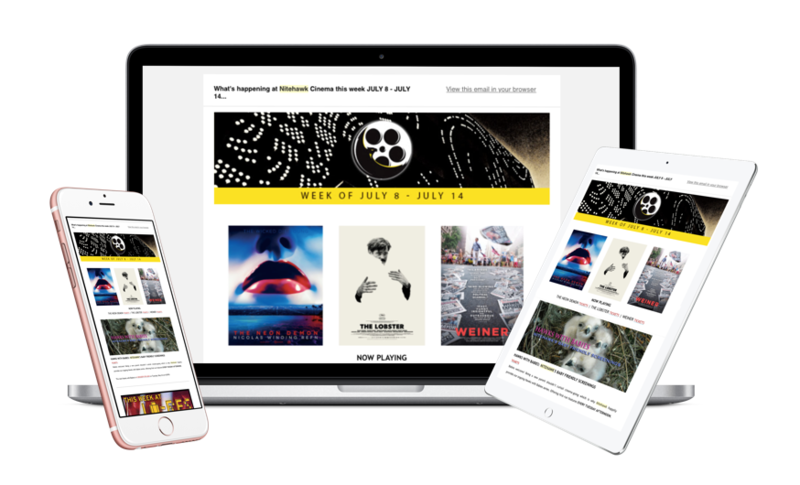 We have a dedicated events team that handles all the details in putting these together, and we’re excited to offer these memorable experiences at Prospect Park.” states Deanna Nokes, Event Director at Nitehawk. Nitehawk Prospect Park features seven state-of-the-art screens, hosts two bars and is a Brooklyn landmark with design elements that date back to 1928. Once known as the Sanders Theatre, the 650 seat cinema is located in the historic and completely redesigned Pavilion Theater. Situated on Bartel-Pritchard Square, the theater is easily accessible by public transport and the restored mezzanine is the perfect place to celebrate a birthday, happy hour or professional function. The catering menu, which utilizes locally-sourced ingredients, features a delectable selection of platters including Grandma’s Meatballs, Jerk Chicken Dumplings, and Chorizo Patata Brava Taquitos. 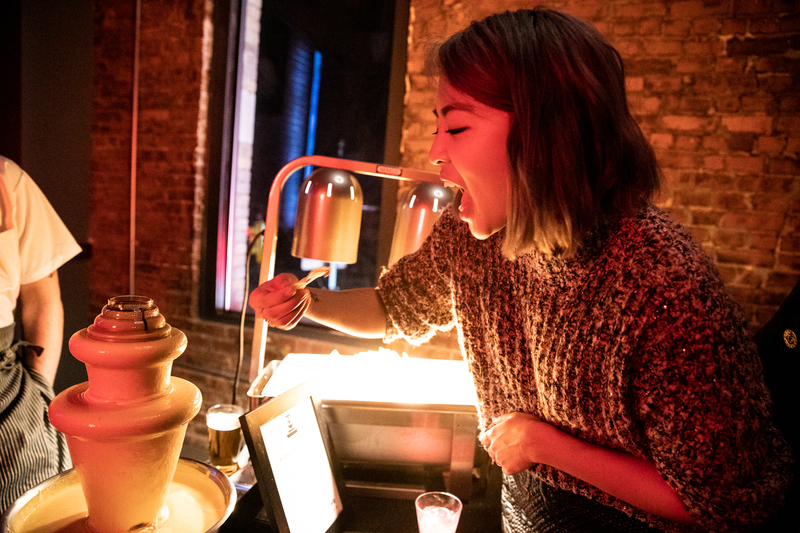 A queso fountain is also available that comes flowing with Nitehawk’s staple tater tots, chips, a toppings bar, and a dedicated chef. The beverage choices include signature cocktails, local beers, and specialty drinks that may be crafted to thematically align with a special event hosted at the cinema. 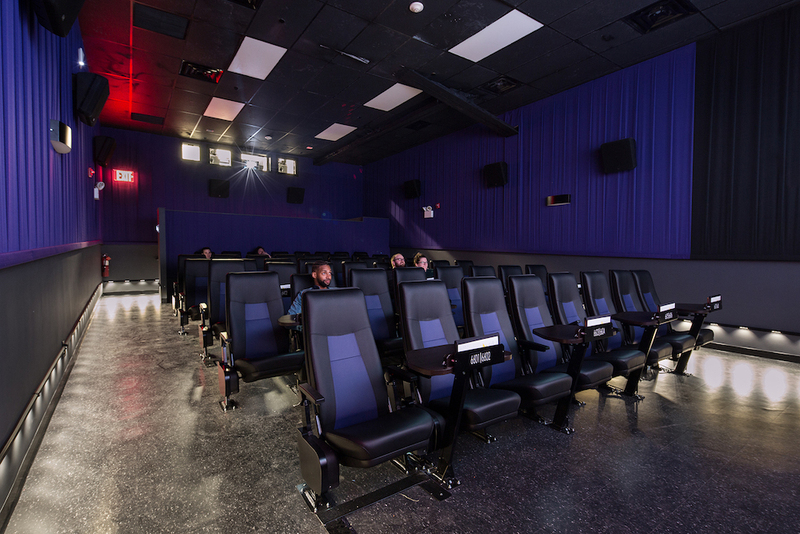 Nitehawk Prospect Park theaters vary in size from 48 to 194 seats and are available Mondays through Thursdays for screenings, birthday parties, graduations, and corporate meetings. Rental prices vary based on the specifics of the event and can be personalized to create an ideal way to commend any occasion. If you wish to book a private event at Nitehawk Prospect Park, please email events@nitehawkcinema.com.